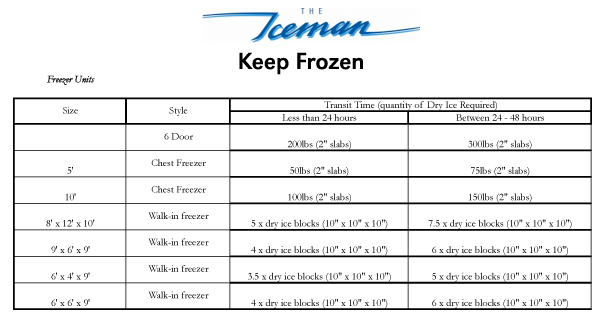 Use our charts to find out how much dry ice you’ll need. How much dry ice will you need to keep things fresh or frozen? 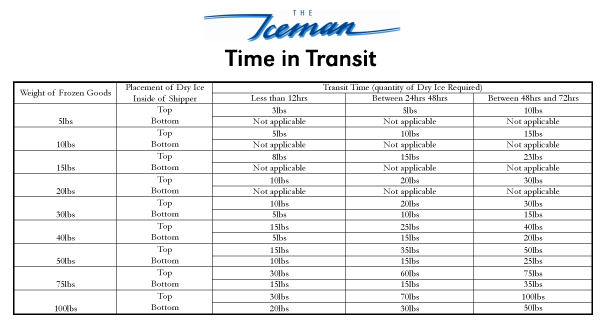 Use the charts as a guide to determine the amount of dry ice you will need based on the weight of the item, the packaging it’s kept in, and the length of transit. As a general rule, dry ice will sublimate at a rate of 1% per hour in a typical insulated container. This sublimation continues from the time of purchase – therefore, it’s important to pick up your dry ice as close to the time needed as possible. 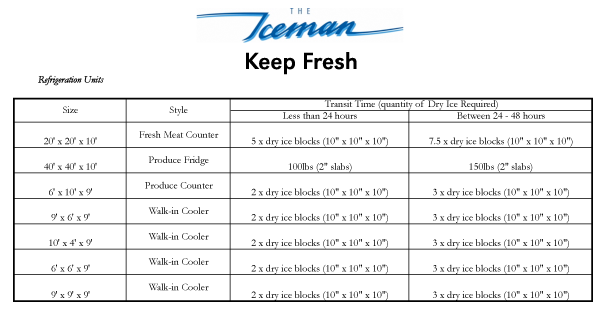 Need help calculating your dry ice order? Contact us to speak to our dry ice specialist for help.